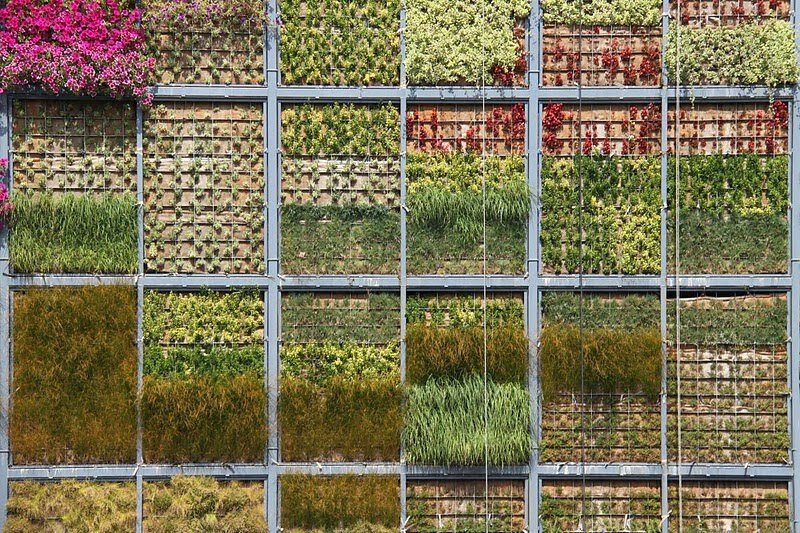 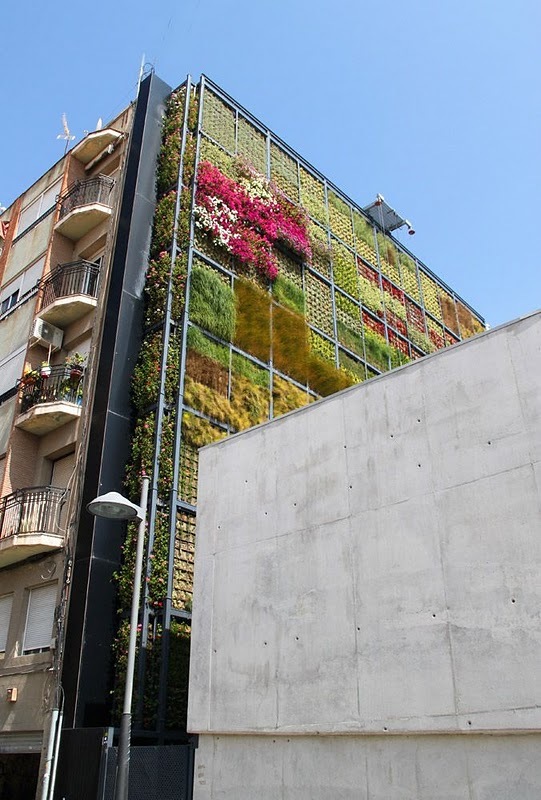 A new vertical garden which is six stories tall comes to San Vicente, Spain. 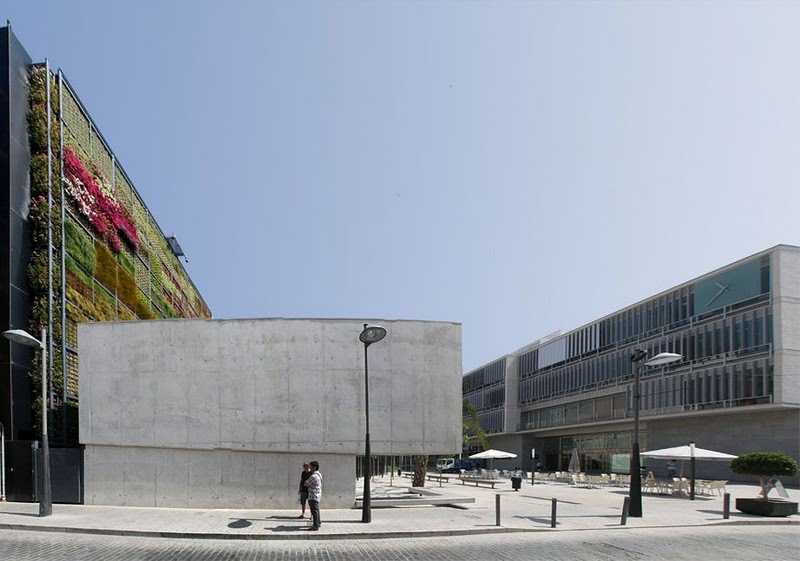 It was designed by Jose Maria Chofre, a Spanish architect, and was installed on the exterior of a new children's library. 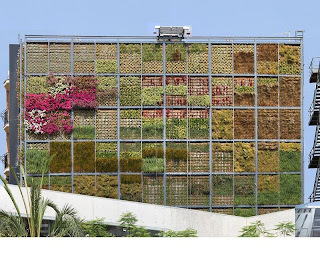 It incorporates a variety of drought tolerant plants: floral and herbaceous species of small size in the top, while ivy and ferns at the bottom. The plants are placed in metal containers, which can be changed and replaced.